The fee for the LBS Sloan Masters 2020 is £70,800. In addition to the School fees, there is a Student Association Fee of £60 that covers the Student Association (SA) subscription, enabling students to participate in our vibrant community. All candidates are asked to pay a deposit to reserve their place, and self-sponsored students pay the balance in three instalments. Companies sponsoring an employee pay the balance in one payment before the start of the first term. 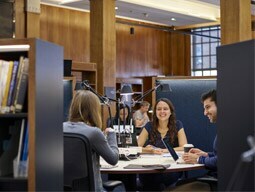 LBS Sloan Fellows are a mix of sponsored and self-sponsored students. There is a range of funding options available to you. Discover more about building a case for sponsorship with the LBS Sloan business case guide. LBS Sloan Fellows often take personal bank loans to fund their education or use their own resources. The Prodigy Finance Loan Programme is available to help you finance your LBS Sloan Masters. US candidates may be eligible for a loan via the Federal Stafford Loan Programme. See the Federal Student Aid website. The fees for the LBS Sloan do not include living expenses, which vary depending on your circumstances. Typically, you should budget approximately £30,000-£45,000 for a family, or £25,000-£30,000 for a single person in shared accommodation. See our Sloan fees and financing frequently asked questions. We are pleased to announce the following awards to support Sloan candidates who in the opinion of the Admissions Committee will make an exceptional contribution to the class and most benefit from this support. Funded by: London Business School. Open to: all self-funding female candidates for the LBS Sloan. Award: a scholarship awarding up to 50% of tuition fees for the LBS Sloan Masters in the form of tuition remission. Deadline: 17.00 (UK time) on Wednesday 24 July 2019. Please note: you must also have submitted your completed LBS Sloan Masters application. Video clip of up to 5 minutes entitled “Who am I?”, demonstrating your creativity. The video should be uploaded on YouTube and the link sent to the Admissions team:sloanadmissions@london.edu. Please make sure the view rights are set to "public". *The same video clip can be submitted in support of an application for the 50th Anniversary Scholarship and the LBS Sloan Women’s Scholarship. This scholarship is funded through the generosity of the LBS Sloan class of 2004 in memory of Philip Langsdale, and was established to attract excellent candidates to the programme. Funded by: LBS Sloan Masters 2004 Alumni. Award: one award of £15,000 in the form of tuition remission. Deadline: all self-funded candidates who have submitted their completed LBS Sloan Masters application by 17:00 (UK time) on Wednesday 24 July 2019 will be considered; the successful candidate will be identified on merit. Download the Sloan Philip Langsdale Scholarship Instructions and application form here. Open to: all self-funding candidates for the LBS Sloan Masters. Award: multiple awards of between £5,000 and £10,000 in the form of tuition remission. 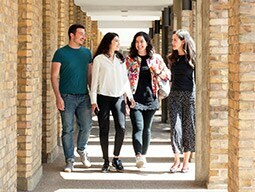 Deadline: all self-funded candidates who have submitted their completed LBS Sloan Masters application by 17:00 (UK time) on Wednesday 24 July 2019 will be considered; the successful candidate will be identified on merit. Decisions will be made before the end of August 2019. Funded by: alumnus Navin Valrani EMBADS2013 and Monica Valrani. Open to: exceptionally gifted and talented Indian women who have achieved success through their own determination, ambition and motivation, and have striven to succeed in their education and career. Award: one award of £20,000 in the form of tuition remission. Deadline: all eligible self-funded candidates who have submitted their completed LBS Sloan Masters application by 17:00 (UK time) on Tuesday 30 May 2018 will be considered; the successful candidate will be identified on merit. Funded by: An anonymous alumni donor. Open to: all successful MBA, EMBA and Sloan Masters applicants who have a background in social enterprise* with a preference for women and/or candidates residing in Africa. Deadline: all self-funded candidates who have submitted their completed LBS Sloan Masters application by 17:00 (UK time) on Tuesday 30 May 2018 will be considered; the successful candidate will be identified on merit. *defined as an organisation that applies commercial strategies to maximize improvements in human and environmental well-being, rather than maximising profits for external shareholders. Social enterprises can be structured as a for-profit or non-profit, and may take the form of a co-operative, mutual organisation, a social business, or a charity organisation. Funded by: alumnus Gary Lubner MBA29(1990). Open to: all self-funded African applicants across all degree programmes. Award: one award of £33,000 in the form of tuition remission. Funded by: Palm Hills Developments. Open to: all successful full-time degree applicants, with a preference for candidates residing in Africa. Award: one award of £35,000 in the form of tuition remission.